‘Immensely talented but plagued with controversies,‘ that’s how an average Nigerian music lover would probably describe Burna Boy. Since his breakthrough with the genre-establishing Like To Party song, it’s been a tough struggle between brilliance and controversies for an artist who many believe has more talent deposit than the highly placed and specially celebrated Wizkid. 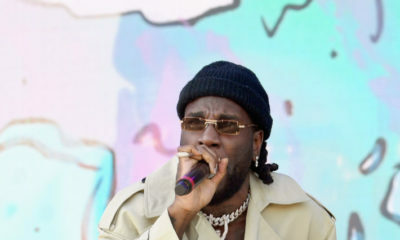 For Burna Boy, it has been more of how he chooses to invest his talent, his antics of storming out of an award ceremony, sponsoring an attack on another singer and several aggressive comments attributed to him. He has created the character of a daredevil, even though he is occasionally appreciated for his success with diversity in music genres especially on remixes to songs. He is considered a troubled genius who has the ability to transform a good song into something classic like he did on Skales’ Temper & Olamide’s Omo Wobe Anthem, if only he can manage to keep his acts together. Burna’s repertoire is good but could have been better, with only occasional sensational releases like Won Da Mo, Yawa Dey, Pree Me which are usually months/years apart. For a man with his bag of tricks, he should be making magic happen more often. 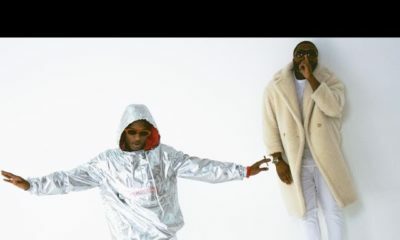 Although he had 4-5 pre-album releases, the release of Heaven’s Gate gave the biggest impression that Burna Boy’s immense talent might finally manifest on the Outside album. The Caribbean flavoured Drake-like record serves the purpose of welcoming you to the Outside. It’s an experience inspired type of song which collects Burna Boy’s thoughts and reflections, his past struggles, his achievements, his ambition and it explains why he lives life the way he does – on his own terms. It’s a sudden change from a sober reflective mood on More Life to a cheerful musing on his formative experiences in PH City and Burna Boy says “if you’ve really never gone there, you’d really never know.” It’s a lovely art of descriptive singing as the melody floats just over the beautiful synths of the song; but what’s more interesting is the way Burna Boy embraces his identity as a Port-Harcourt boy who has been prepared for his current life. In a lively atmosphere filled with drum lines, rhythmical guitar sound and some other seemingly hard to identify sounds, Burna Boy tries to make a song about his pride and confidence in his craft, using the popular “owun a ni la n gbe laru ge” melody of Yoruba folklore, but it only comes out OK and not exactly great. Sekkle Down is a player’s song, for the rastaman kind of ladies man not the type that ladies want to visit the cinema with or got out with on a dinner date. It isn’t my type of song; maybe because of the heavy influence of Jamaican sound on the song, maybe because I expected something different from J Hus, I can’t say for sure…but I have this feeling of there are some good components in the song but it just doesn’t come together to form an amazing record. Here, Burna Boy sings of his formative experiences that toughened him up. He sings of these experiences proudly like he’s grateful for the lessons that made him “tougher than steel and copper.” The PH boy sings about his childhood hood being the “bad man headquarters.” It is one of my fave records on the album because its narrative is believable and relatable. This song served as something like a trailer to the album, especially with the release of visuals that generated so much rave that heightened the anticipation of the album. The song sounds like something for the European pop culture and a lot of that can be linked to Lily Allen’s presence on it while Burna Boy made himself comfortable with his rockstar kind of flow. More reflection and deep thinking led Burna Boy into this song as he sings about his drive and ambition to live a successful life and he wants to do it on his own terms because he cannot go and kill himself. It’s a hustler’s anthem and music for the brothers and sisters on the grind. Ye is strangely a song that is in-between genres, but enjoyable still with a lot of food for thought…just in case your soul is hungry. Burna Boy made me appreciate the production ability of Chopstix on this song. The slow dance instrumental was met by a rockstar Burna Boy, who’s is in the mood to showoff his freshness, his charisma and swagger. Burna’s mood in this song, is that kind let’s show them what we got mood that we all experience every now and then, even though it’s a everyday thing for some. This is the tune of a happy African man living happily in an out-of-Africa setting. Although there are limitations, distractions, Burna Boy still finds a way to stay happy and enjoy being “Fela Kuti with hoes.” The song has the kind of rhythm you’d normally find around western primary school environs, but Burna Boy manages to give it the African touch. I’d say he customized western music for the consumption and enjoyment of Africans. No party should remain the same when a tune like this is played. It’s a mood controller, as Burna Boy allows his flow float over the brilliant instrumentals of the song. The line “would you be me if I be all yours” feels like a pickup line that would make a lady drop her resistance to dance with a guy, especially when it is said with the tone Burna Boy used on the song. It feels so surreal and straight to the soul. The western influence of the song suggests this is perhaps one of the songs Burna Boy was talking about when he said he wrote 5 songs for Drake’s album. It’s a kind of song that fits Drake’s artistry and it’s interesting to listen to Burna Boy ace it. He doesn’t seem to have any limitations with genre switching and he proves it on the album with a song like this. It’s a song that I suspect was inspired by an experience, maybe not the best of experiences but one which Burna Boy is comfortable singing about. Fear, doubt and pain are three emotions that Burna Boy channeled into recording Calm Down. It is a song for the low points of life, times of doubt where assurances are rare and it’s hard to stay positive but Burna Boy still sings about mustering courage to “walk on top of the ocean” sometimes assisted by the influence of alcohol. It’s a song best played during moments alone when it’s just you and your thoughts. 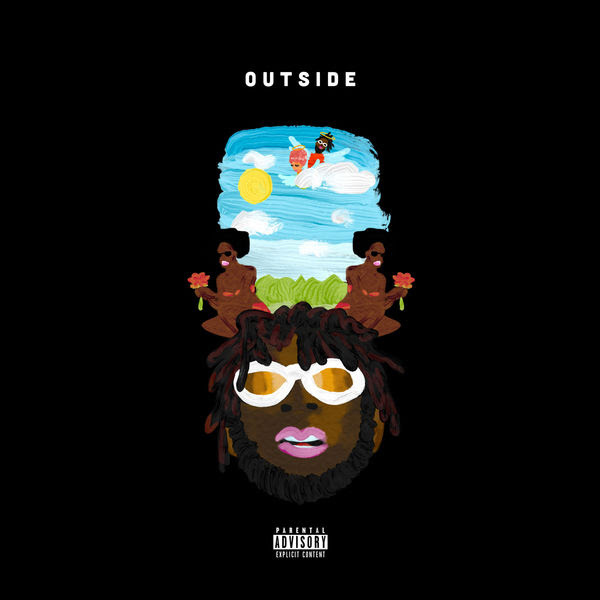 With Outside, Burna Boy draws the curtain of the album on a sagely note leaving words of wisdom and wise sayings like when the said “don’t try to reap what you didn’t sow.” It’s a welcome close to an album that saw Burna Boy’s innate abilities, the quality of his experiences and reflections serve as raw materials for the making of a truly impressive body of work. The Outside album bears evidence that Burna Boy remains defiant of the norms of the industry, the lores that trick other artistes to believe that only the pop music makers are relevant in the industry. 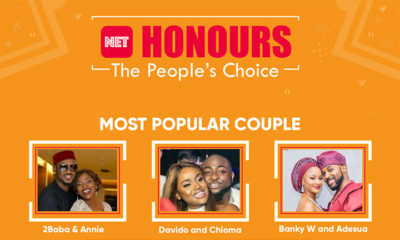 The Outside album alongside other alternative albums like Simisola would register as the best compilations around beating the best pop projects in terms of theme, lyrical content, arrangement and other vital aspects of album compilation that sadly, Nigerians careless about, as they care for purely dance materials. Burna Boy searched on the inside for content for this album and I believe truth is the best source of inspiration in the world – write, paint, sing or talk the way you feel it inside, without exaggeration or embellishment, and it usually comes out pure and real like it did on the Ouside album. Black Boy is a character created by a man. For the creator of Black Boy, starting to write was not intentional. He started by seeing signs in being blessed with a lovely handwriting, in being able to tell believable lies and being fearless in telling the truth. All of these became signs to mean that writing is his purpose. This review was well written . My friend and I havw been trying to discet this album and for the most part , we feel the same way as you .